Kalahari Plains Camp is delighted to announce that Wildlife Walks are now offered as an optional morning activity. The Central Kalahari Game Reserve is an ideal place to experience the excitement and ‘back to nature’ experience of walking in the wild. 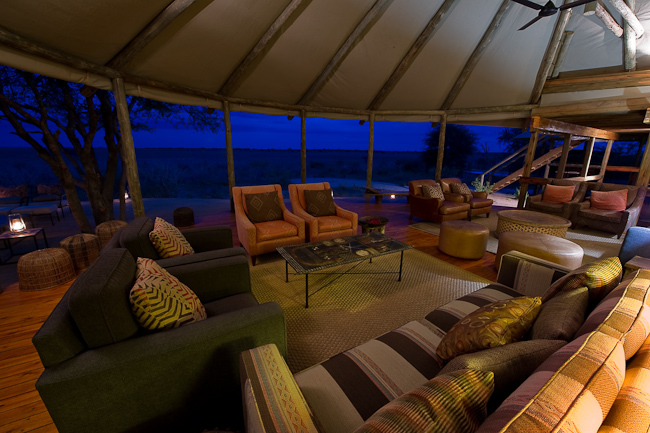 Guides safely take guests out onto the plains, onto the dune scarp and to a couple of large pans – a wonderful expanse of scenery and habitats offering the chance of seeing as much game as possible. Bird life in the area is known to be superb, and the unobtrusive, discreet nature of these walks heightens the odds of seeing more species. · Walking is dependent on a qualified walking guide being in camp and for this reason cannot be confirmed. · As per Wilderness Adventures’ terms, walking cannot be pre-booked or guaranteed as a private activity. · A maximum of six guests allowed at any time on a walking activity. · Minimum age is 13. There is no maximum age; however participation depends on fitness and ability to cope with the heat. The guide conducting the walk will decide as to whether guests may or may not join the walk. · The guide is professional, qualified and armed. · Walks are done within a 3km radius of camp (as per the walking licence).